Finally, it’s that time of year when we can open up our windows and enjoy some fresh air inside our homes — it’s the perfect opportunity to clean out your home! Spring is the time for new beginnings, inside the house and out. 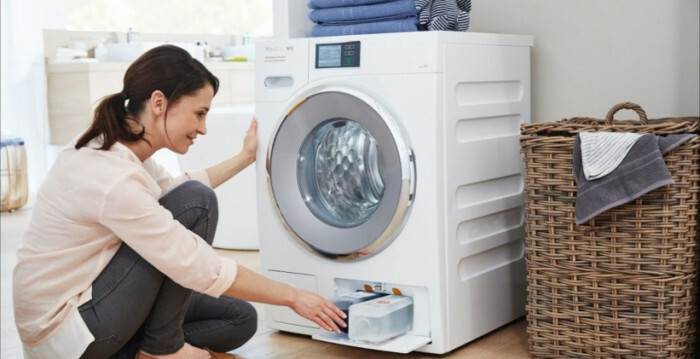 Making your home fresh and clean is one way to get a new start, and another is making sure you begin the season with all the appliances in your home working properly. Do your plates still have some pieces of food on them when they come out of the dishwasher? Is your freezer cold enough, or is food only semi-frozen? If your appliances aren’t working perfectly, call Toronto Refrigeration to give your home a fresh spring start by getting them back to tip-top shape. It may still be a little brisk outside, so maintaining your air conditioner may not be foremost on your mind. But making sure that you’re ready for summer is a springtime chore. Just call Toronto Refrigeration, and we’ll do the rest. We can fix any of the major brands that make your fridge, dishwasher, dryer, microwave, oven, washer, central air or air conditioner. We take pride in our ability to fix all the appliances from such a wide range of manufacturers. Toronto Refrigeration offers same-day residential and commercial repairs for all the appliances in your home or business. If something isn’t working properly and you need appliance repair services in Toronto or anywhere in the GTA, give us a call. Day or night, it doesn’t matter what time it is — we are here for you 24 hours a day, 7 days a week! If your home or business has an emergency with an appliance super late at night or early in the morning, we can help. Toronto Refrigeration is a leader in appliance repair services, so when you call us you know you’re getting a fully trained and certified technician who will get your appliances working properly soon. That’s the fundamentals of our business and we take it seriously: we know these machines inside and out. Toronto Refrigeration stands by a couple of very simple pricing guarantees: we give you the final cost of the repair right up front, so you’ll never be surprised by extra charges. There’s just one fixed-rate, so you don’t pay an increased cost no matter how complex or involved the repair actually is. Also, we work to match any written quote you find elsewhere. Our goal is to fix your problem quickly and properly, with an eye to developing a long-term relationship by offering the best service possible. “Small enough to care, big enough to cope,” is the phrase that summarizes both the level of service we provide each customer, as well as the wide range of makes and models Toronto Refrigeration repairs. If you want to get a fresh start this spring by making sure every appliance in your home works properly, please contact us to learn more at 416-918-2700. Toronto Refrigeration will make it happen.